New research suggests that obesity changes how airway muscles function, increasing the risk of developing asthma. The study is published ahead of print in the American Journal of Physiology—Lung Cellular and Molecular Physiology. The prevalence of asthma and obesity—as both separate and coexisting conditions—has grown considerably in the U.S. in recent years. Obesity is a major risk factor for asthma, in part because of the systemic and localized inflammation of the airways that occurs in people with a high body mass index. People with obesity "also manifest a higher risk of severe asthma, decreased disease control and decreased response to corticosteroids therapy," explained the bicoastal team of scientists who conducted the research. 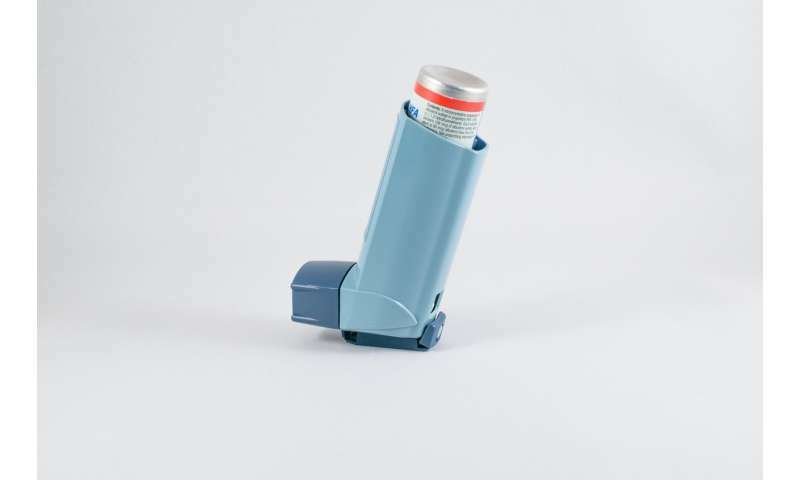 However, previous studies suggest that some people with obesity may have a type of asthma that is not caused by airway inflammation, but by hyperresponsiveness—a higher-than-normal response to an allergen—in the airway smooth muscle. Hyperresponsiveness causes the airways to narrow, obstructing ease of breathing, and can occur when the muscles contract or begin to spasm. The research team combined human airway smooth muscle cells with histamine, a chemical the immune system makes in response to an allergen, and carbachol, a drug that stimulates the part of the nervous system that controls the airways. Stimulating airway cells with these substances causes the cells to release calcium, which mimics muscle contraction. The researchers found that muscle cells from obese donors released more calcium and had greater shortening—a function that occurs during muscle contraction—than the cells from normal-weight donors. In addition, the cells from female obese donors released more calcium than cells from male obese donors. These results suggest that obesity "imprints on structural cells [or airway smooth muscle cells] a unique signature that can be identified and that may lead to novel targeted approaches to improve asthma management without the use of steroids," explained Reynold Panettieri Jr., MD, director of the Rutgers Institute for Translational Medicine and Science and corresponding author of the study.